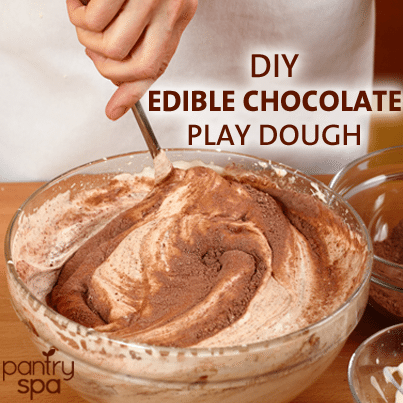 Play dough is tons of fun… and it is even better when the dough is edible and delicious! This chocolate truffle playdough is perfect for at a kid’s birthday party: after the kids make their creations, they can take them home and eat it as the party favor! Or if you want your children to help out with dinner- put them in charge of making these truffle delights for dessert. Even as an adult, I adore playing and creating with this dough! 1. Let the butter sit at room temperature for about 30 minutes, to make it easier to work with. 2. Blend the powdered sugar and cocoa together. 3. Mix the sugar / chocolate cocoa into the butter. 4. Use a little confectioners sugar to lightly coat your hands, to keep the dough from sticking. 5. Create any shapes you want out of the dough! You can use different tools, like toothpicks, forks, spooks, plastic knives, etc. for different effects. You can also use different toppings to add color, such as: sprinkles, different colors of chocolate chips, mini m&m’s, marshmallows, licorice, or anything else you have in your house! Let your imagination loose and have fun!